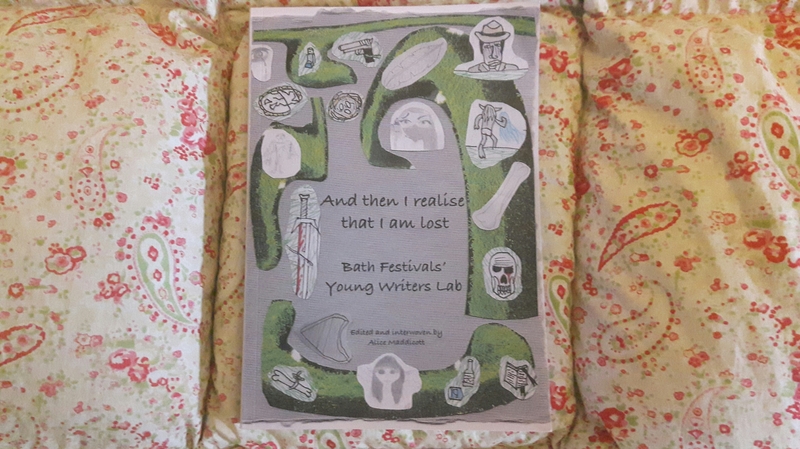 I am thrilled to announce the publication by Bath Festivals of And then I realise that I am lost – a collaborative novel by the Young Writers Lab that I run for the festival. The teenagers meet once a month and over the last year have been writing stories on the theme of getting lost which I have interwoven into an experimental novel with poetic joining narrative to create a fictional maze. They have worked so hard and it is an amazing achievement. We launched the book at this year’s Bath Children’s Literature Festival and it will be available to buy soon for bookshops and online. In the meantime copies can be bought directly by contacting Bath Festivals.